Q: I have literally hundreds of quotes in my autobiography, and after reading your post about them, I’m really confused. Most of what I’m writing about is not quoting a known source like Mark Twain. Rather, it’s in the form of he said, “blah, blah, blah” when I’m relating a story or incident. I don’t even know if this deserves quote marks, and I have been very inconsistent in how I use them. Last time, we looked at using ellipses in your dialogue. Up next: em dashes. 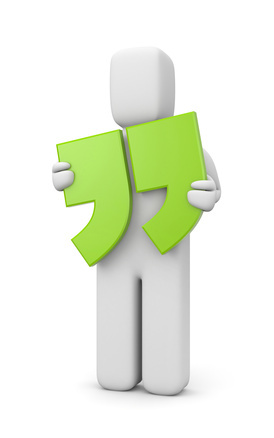 ☐ Punctuation such as em dashes and ellipses are used correctly. The em dash—it looks like this—is used to indicate a break of thought or speech. It can be used parenthetically, as in the previous sentence, or singly, for example if a character changes topic mid-sentence. Punctuation is hard to master in everyday writing. Fiction adds a layer of complexity because of the different way dialogue is punctuated. As if commas weren’t hard enough to wrangle on their own, dialogue puts a special twist on a couple of marks that don’t otherwise see a lot of use. In nonfiction writing, ellipses are used only to show omissions. But they have a special use in dialogue to indicate a trailing off of the character’s speech. Remember our flustered presenter from last time? Many new writers—and, frankly—some experienced writers—take a short cut in first draft writing by using labels to convey emotion. Do what you must to get through the first draft, but our editing pass is the time to root those things out and replace them with something meaningful. ☐ Emotional states are shown through speech and action rather than dialogue tags. Dialogue tags seem simple, but in practice they are a complex element that many new writers fail to appreciate. One characteristic that distinguishes great writing from good writing is the efficient and elegant use of dialogue tags. 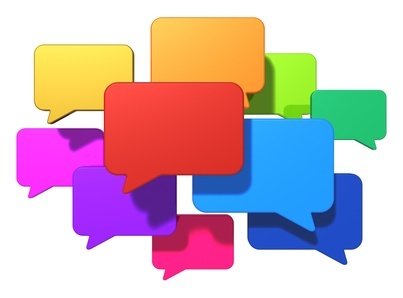 ☐ Dialogue tags convey meaningful information, such as action beats. One of the first things writers learn is that a simple he said is almost always preferable to more complex constructions like he pronounced or she observed. I only put that almost in there because I’m not one to forbid something outright. But really, the best writers just don’t do that. New writers’ manuscripts are often marked by unrealistic dialogue. Many things can go wrong in characters’ speech, but this is one of the biggest. If the characters’ conversations sound fake, readers will drop out quickly. ☐ Conversations are natural and realistic. When I say natural, I refer partly to the idea, mentioned last week, that a character’s background and personality will be reflected in their speech. Considering that the rules for quotation marks are relatively simple (I mean, compared to something really complicated like the comma), it’s surprising how often we see errors with them. In dialog, stuff that’s said aloud goes in quotation marks. “I can’t believe she said that.” (Stuff that’s not said aloud is sometimes set in italics.) Simple enough. Few writers struggle with that.